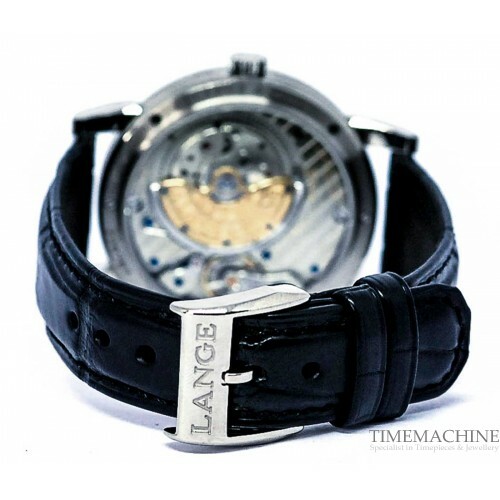 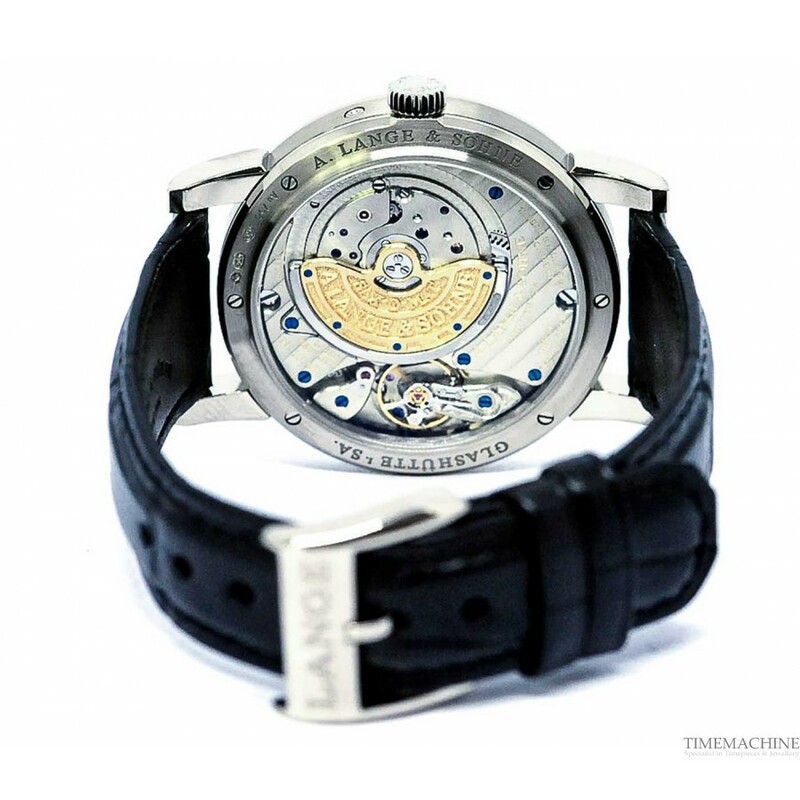 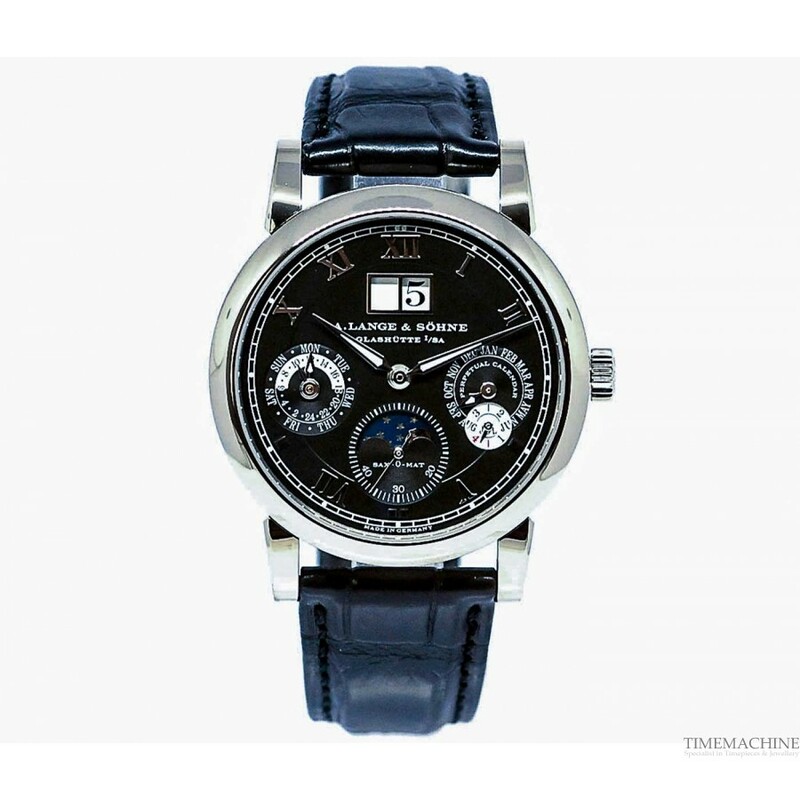 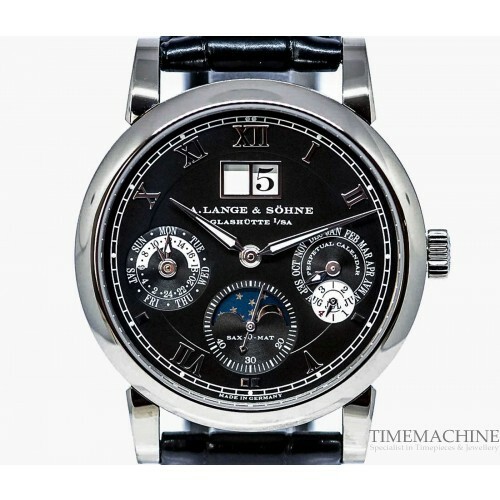 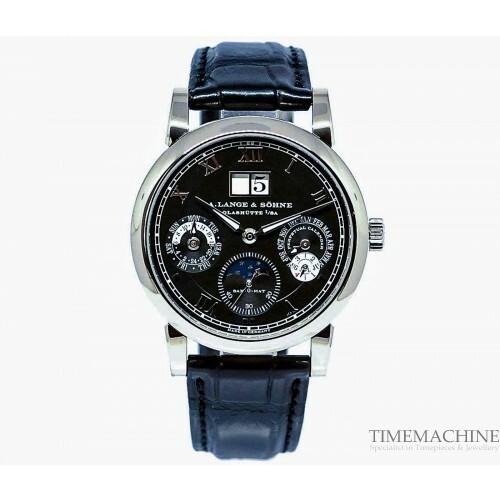 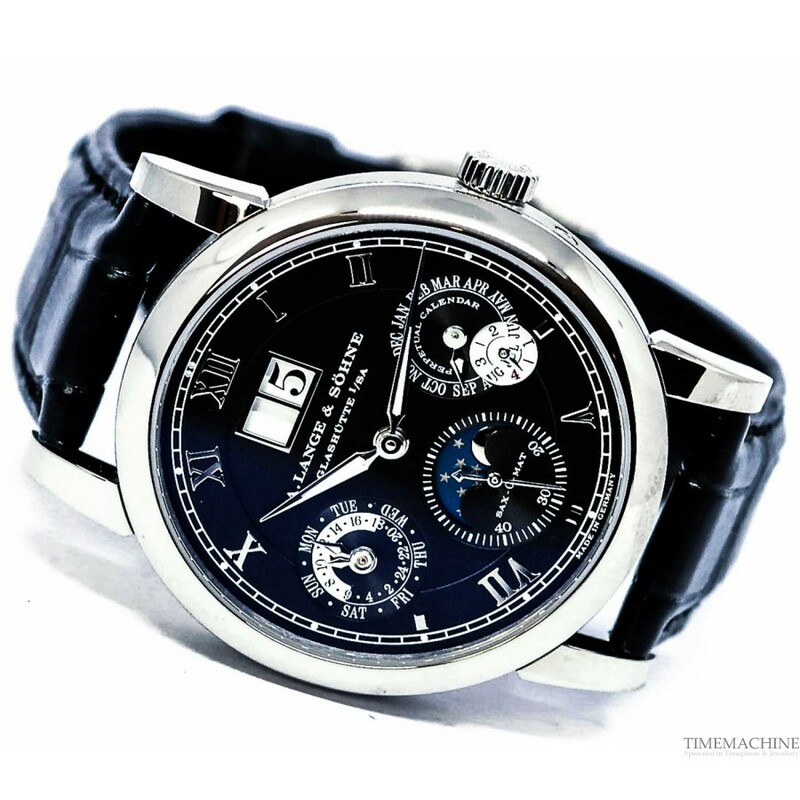 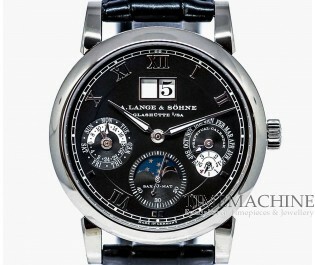 Unworn A. Lange & Sohne Langematik Perpetual Réf.310.026 self-winding automatic watch, 38.5mm 18k white gold case, black dial, calibre L922.1 SAX-0-MAT, 43 jewels, black alligator strap with 18k white gold PIN buckle, hours, minutes, small-seconds, day, date, month, perpetual calendar, moon phase and am/pm indicator. It as original box (with winder) and original papers with 12 months TM mechanical guarantee. 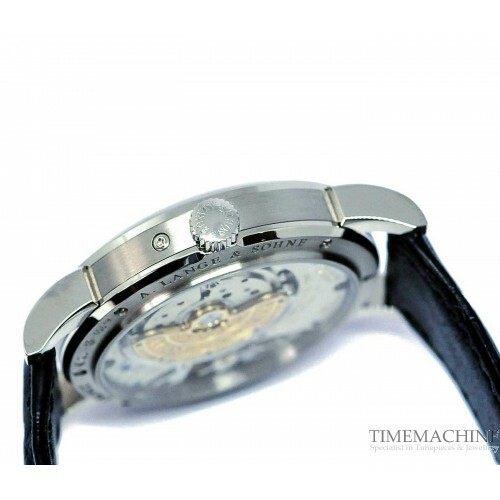 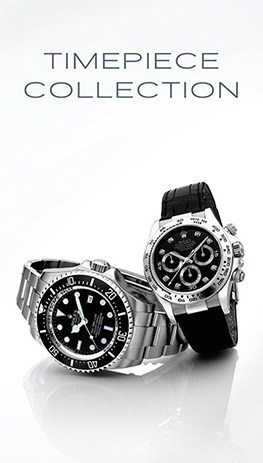 Please quote 4589 in all communications with us regarding this Timepiece.